Free at last. They headed back to the town and to the King. Everyone had seen them coming and gathered around the town. 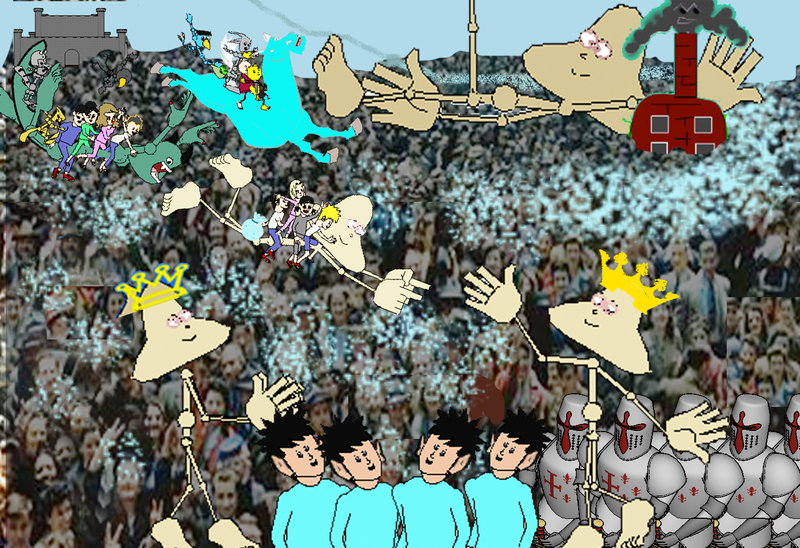 Group Warrior, Group Dragon, Dream Horse, kids, and widgets flew over Empatha, the people, the King, his soldiers and Elves next to the soldiers, and the Prince sprinkling them with Wizard Dust to awaken them enough to appeal to them, to form an army and go after the Princess. 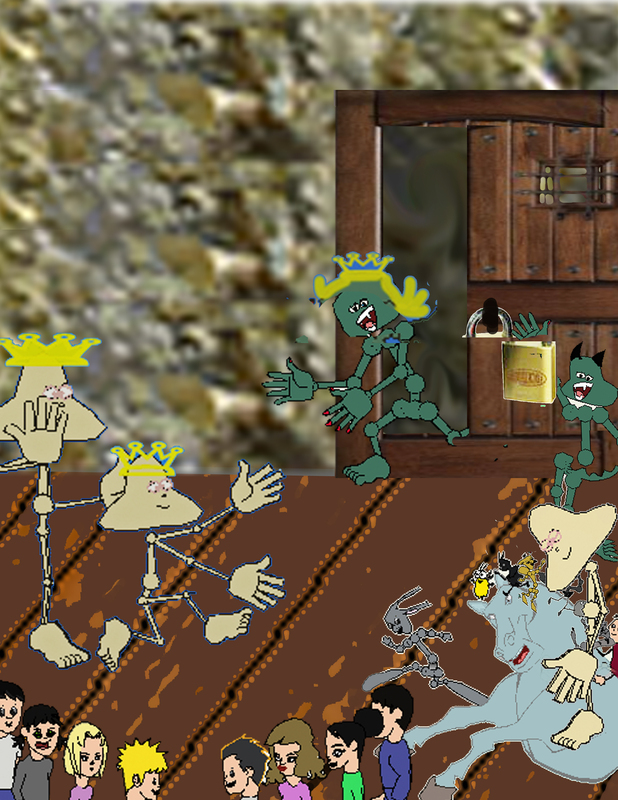 So the King, his Elves, the town folks, everyone’s pocket warriors and group warriors, Empatha, and some of the towns folks all flew or marched to the caves. 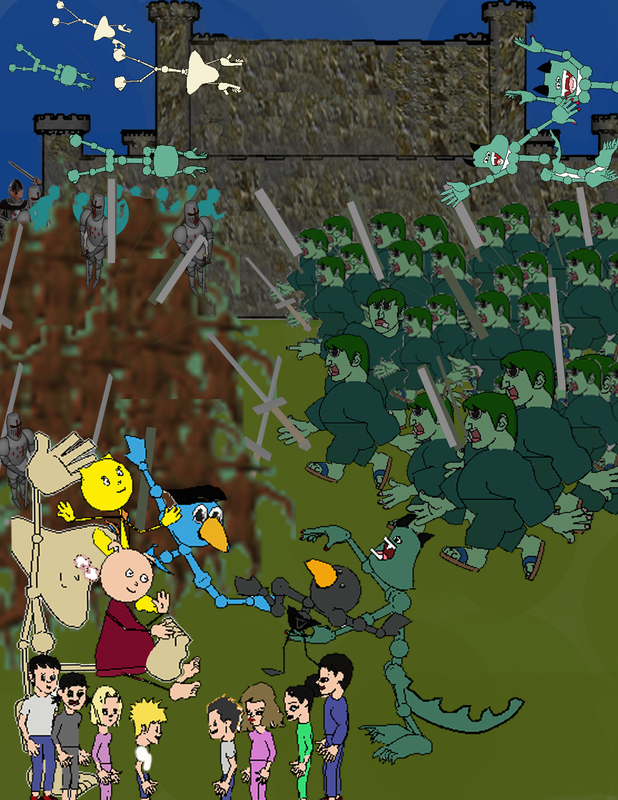 Dameon the Dragon had shrunk and he and the Trolls had gone to the Castle, where the Princess was in the Tower, to help the Evil King fight the on coming army now lead by the Good King. (Jobs for the people take away apathy.) Off they all flew to the top of the Mountain to save the Princess from the Tower and save the City by ending the spell the Evil King had put on the City. They walked past the troll guards nodding as if they were friends. 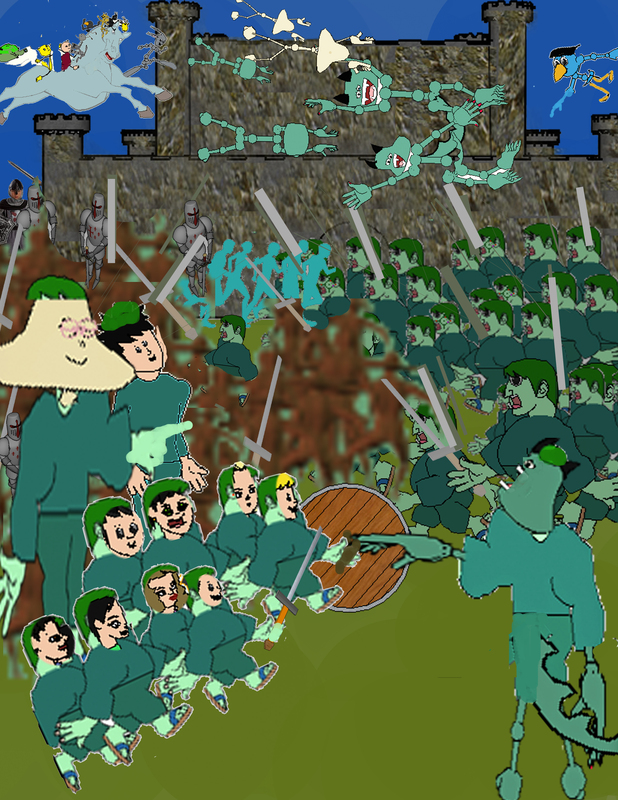 The kids, with their shield of Courage and Sword of Honor weaved their way through the Trolls into the gates of the Castle, and through the Trolls in the Castle Court yard to the back Tower. They went into the tower and climbed to the top to the door where the princess was. It had a large lock on it. There were two guards one on each side of the door. The Two Troll turned and walked away. But how? They did not have a key. 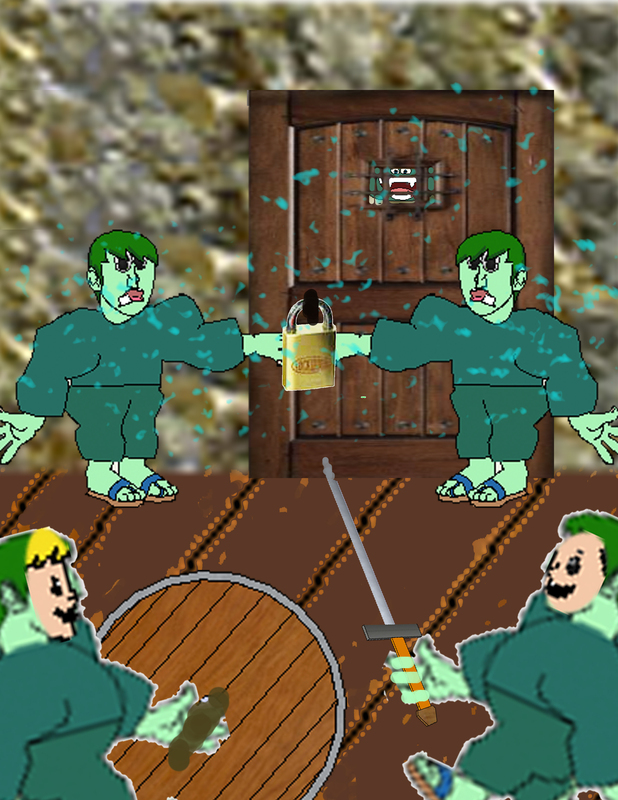 They each shed their Troll clothes and tried to break the lock with the Sword of Honor. But to no avail. The Sword just bounced off. 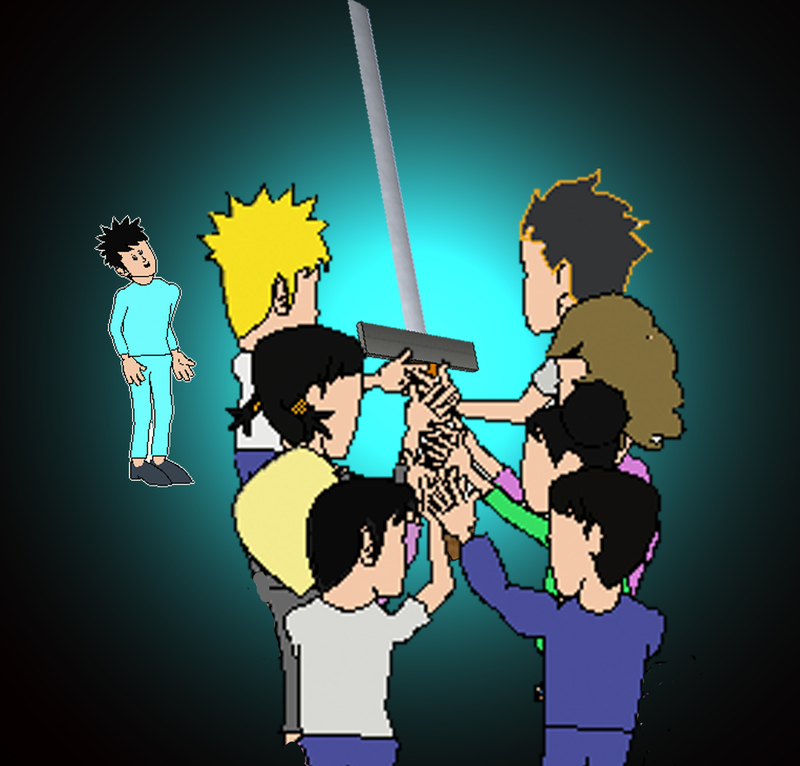 Then they all looked at each other and smiled, they all took ahold of the sword and together struck the lock. It broke and they opened the tower door. The Princess and Prince, who had just arrived, were reunited. The battle was still going on as they stole away into the night to get married and end the spell which would also end the great battle. Peace was restored to the land.